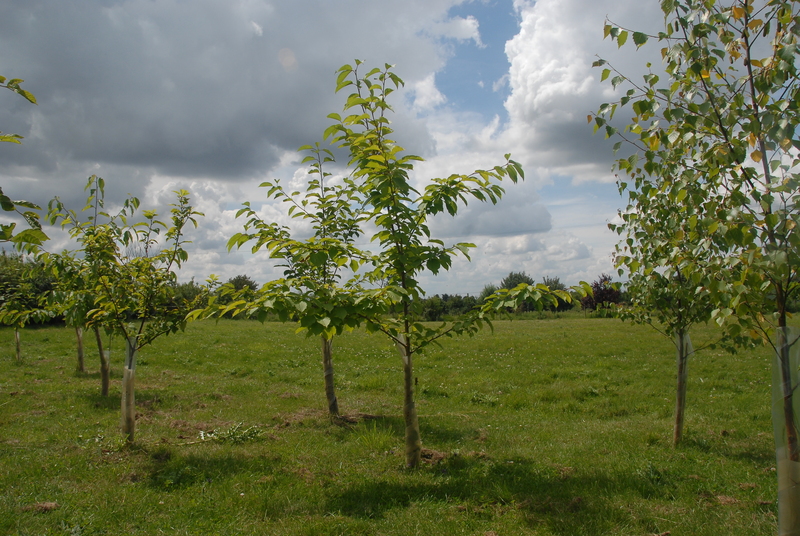 So here’s a little encouragement to anyone thinking of planting a tree or two…Three years ago, we planted a tiny ‘copse’ of about 50 bare-root saplings, most only about 60cm high. Most of them are now taller than me (not that hard, I’m not very tall! ), but this summer, the first trees grew taller than H (who is 6’3). This little bare corner of a field is becoming a place, to us. The trees now cast just enough shade for a smallish child to sit under on a sunny day. …and now. Look – they’re big enough to cast some shade! We planted the copse with the aim of growing at least some of our own firewood, to feed the woodburner that keeps the older part of the house warm (well, warmer) in the winter. 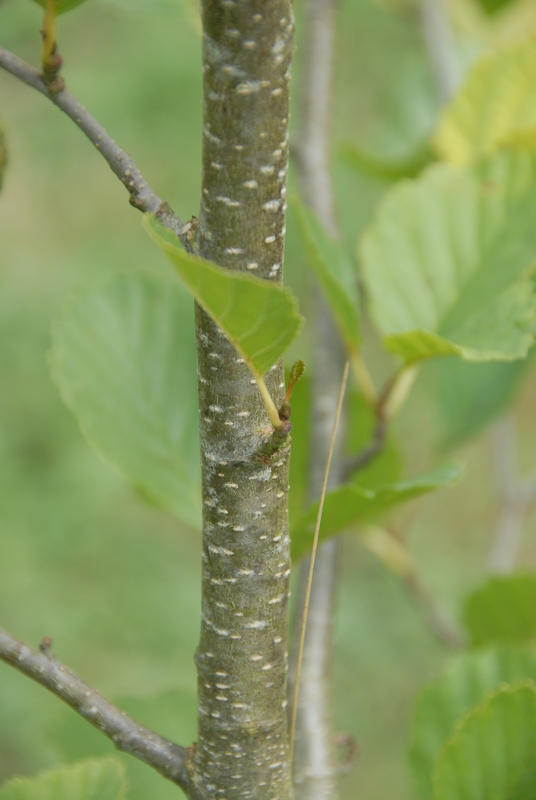 With that in mind, we put in fast-growing species that can be coppiced every 15 years or so, including plenty of alder and ash (of course!) There’s also wild cherry, bird cherry, two types of birch, and some willows that we were given as unrooted ‘setts’ about 5′ long. My little boy Os and I planted those bare willow sticks one chilly winters day last year, and here they are now. 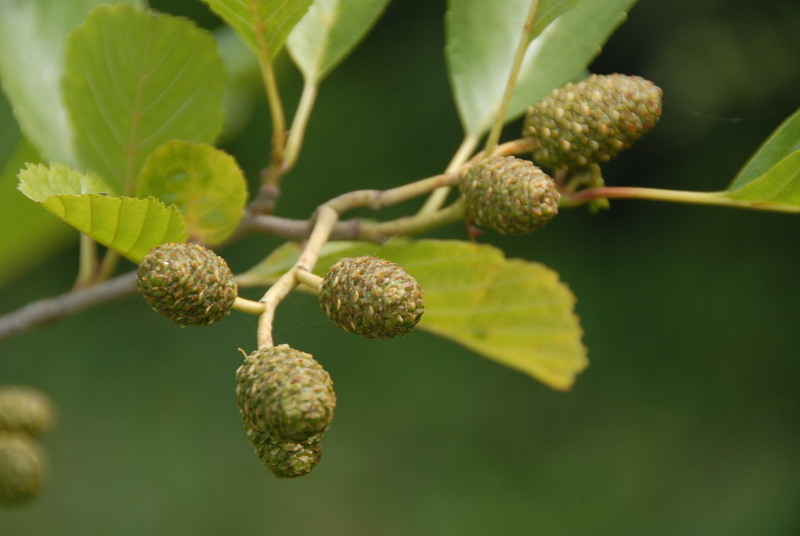 This is one of my favourites – its a little Common Alder (Alnus Glutinosa). I’ve been watching this one extra-closely, as its the tree I’m ‘following’ for Loose and Leafy’s Tree Following project. 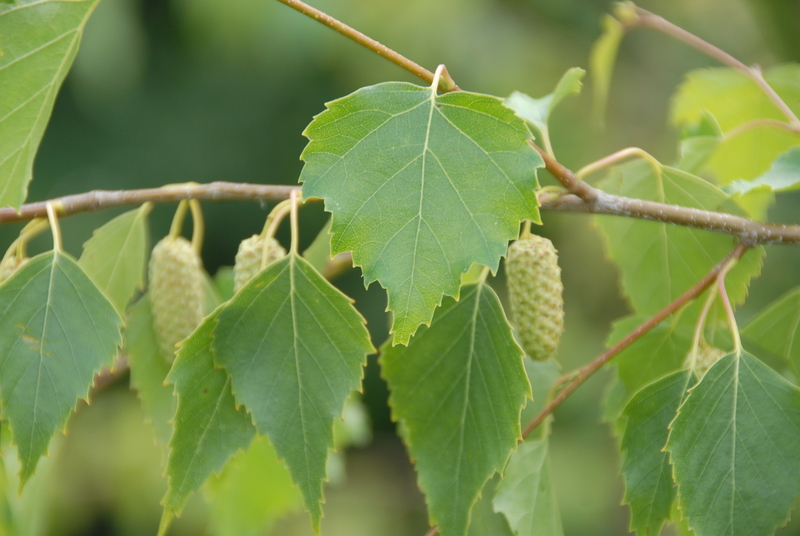 Today, it’s in full leaf, with the fruits that look like little cones swelling in the sunshine. The cherry and birch are all looking chirpy. 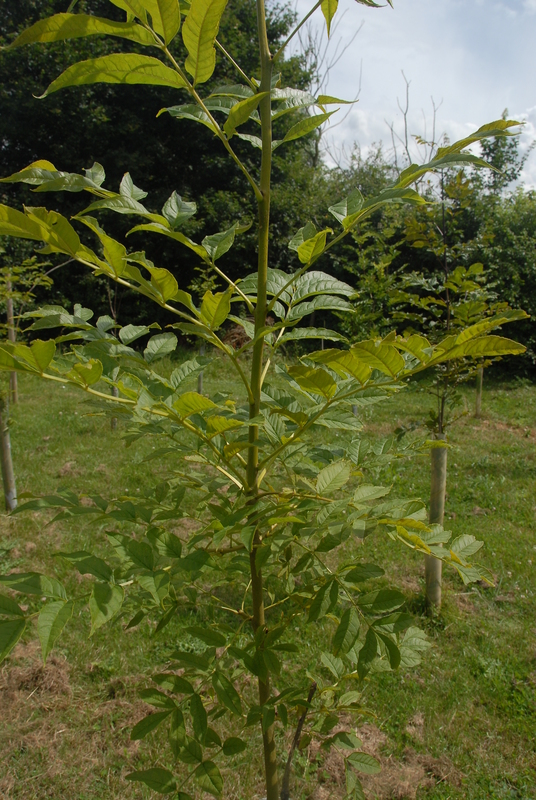 The ash saplings given to us by H’s parents are doing well – no sign of ash dieback disease as yet, which is great news. Now I know we are incredibly lucky to have the space to do this sort of thing. 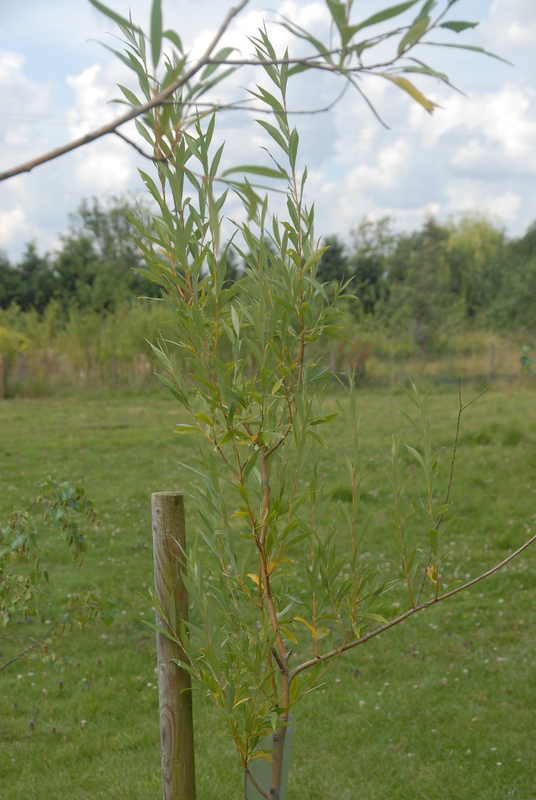 I’ve also heard of people putting in one or two willows or hazels on an allotment, to grow their own poles for plant supports – saves having to buy in bamboo canes shipped half way round the world. I like that idea – in permaculture terms, its a simple way of ‘closing a loop’ by growing or making something you need for your garden or home, rather than having to buy it in. In the old days, this was the norm, and woods and woodsmen were an amazing resource for their communities, creating firewood, charcoal, fencing hurdles, furniture, bowls, spoons – and on and on. It feels nice, in a very tiny way, to be part of that tradition. 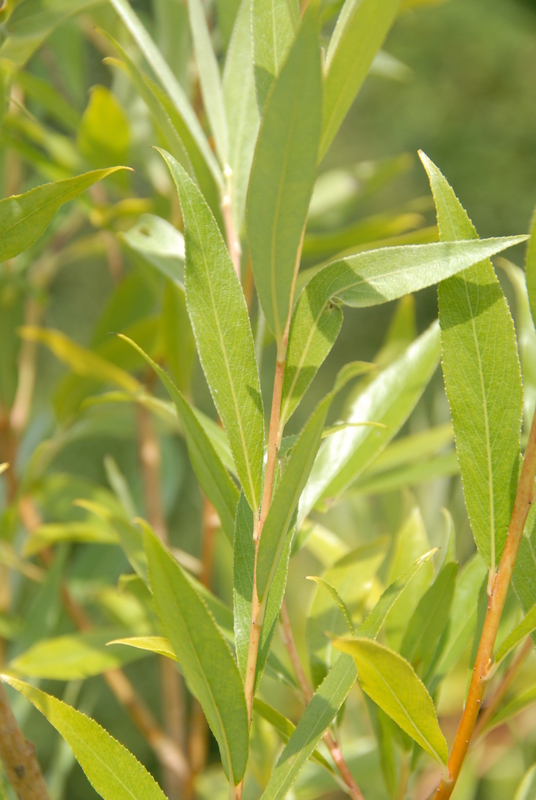 Gardening – and particularly planting trees – is a long game. As my mother-in-law says, you don’t plant trees for yourself, you plant them for the next generation. It’s a bitter-sweet feeling – the trees we’ve planted will probably long outlive me. I won’t get to see them at their full height. But for the next while (a good long while, if I have my way! ), I can enjoy watching them season-by-season. I can be be warmed by them once we start to harvest them. And I’ll always remember planting them – with both Granny and then Grandma visiting over a long weekend to play with the children while we worked, Grandpa toiling away helping to dig the holes for the new trees. If I’m lucky, perhaps I’ll get to watch my own Grandkids sit in their shade one day. So go on, plant a tree today! If you’ve no room at home, I came across the lovely My Baby Tree project run by World Wildlife Fund Indonesia. For a US$15 donation, they will raise a seedling and plant it in one of their forest reserves on various Indonesian islands, aiming to undo the destruction to Indonesia’s forests one tree at a time. If you pay for a sapling to be planted, they will send you its location on Google Earth, so you can see your tree (well, the area it is in, at least). How cool is that? Trees for Cities – Big Tree Plant – They have funding for community tree-planting projects, deadline is August 30th! 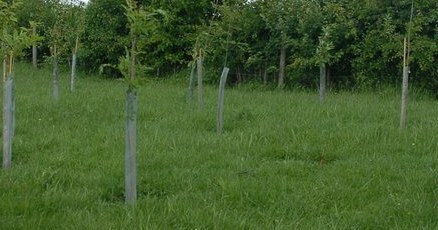 Woodland Trust – Dedicate a Tree – You can dedicate a tree to commemorate a loved one or celebrate a special day. Trees for Life – Restoring Scotland’s Caledonian Forest to a 1,000 acre ‘wild forest’ managed for wildlife, not logging. 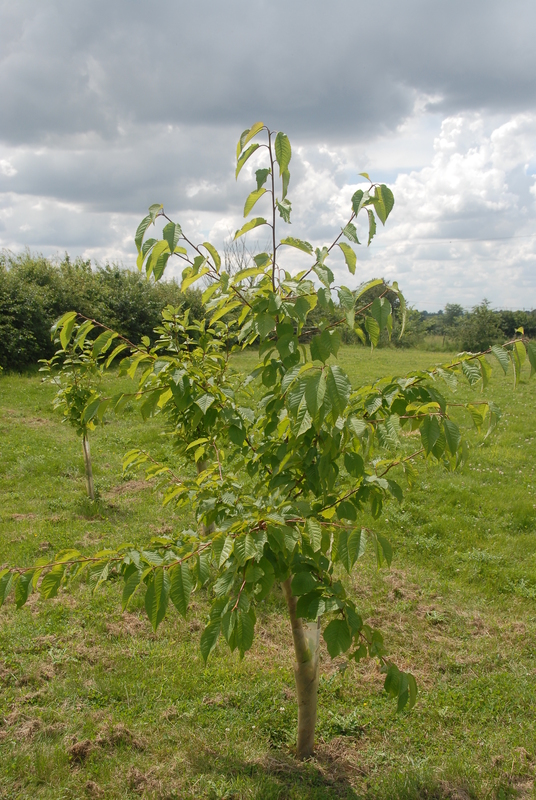 Have you ever planted a tree, or been involved in any great tree-planting projects? Wonderful story, congratulations that your arboreal family is doing so well. I accidentally started to grow willow in the veg garden when I used a few old branches as supports. As they’d been cut off for months, I (wrongly) presumed they wouldn’t root. Even though trees take an age to mature, they still shoot up pretty quickly. We planted an oak tree for my Australian god-daughter and whenever she visits we have a measure- she’s now seventeen and the tree is massively larger than her. I have planted many trees as a teacher with children from my classes. It is always very satisfactory to see both them and the children maturing. We have planted well over a hundred trees and large shrubs since we built our home, 29 years ago… At the time, they seemed so small, that they would never be big enough. Now, we enjoy their shade, and have actually cut some down, due to crowding out. Great to plant your own wood. It is amazing how fast trees grow. I love Alders, specially in winter. How are the piggies coming on? I love trees. I am one of those that planted hazel on my allotment and cut it down for the first time this year. Love the post and that trees are memory makers. 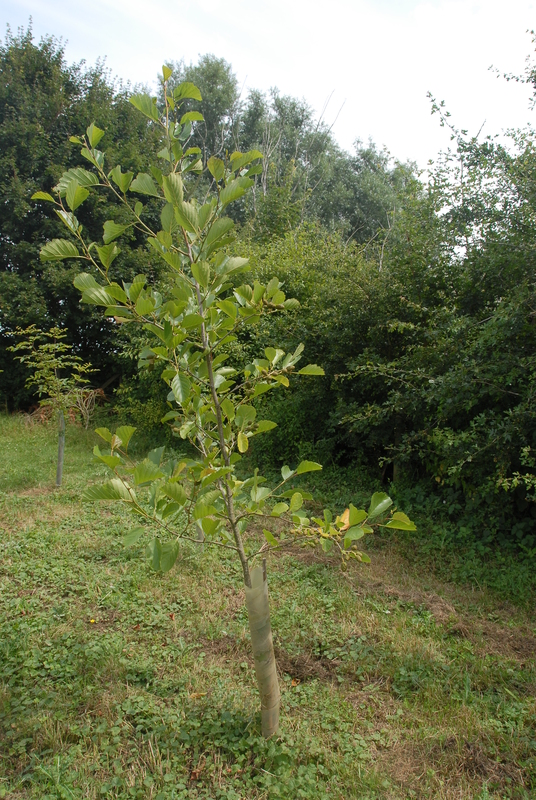 This is a useful post, mostly because it has reminded me that one of our medium term plans is planting more trees in the orchard. I’m really after a morello cherry and a hazelnut tree. I love the idea of growing trees for fuel or even willow for making baskets etc but I don’t think we have the space here yet. Your trees have grown well, since we moved here three years ago we have planted about one hundred trees, some for coppicing some for fruiting and willows for all sorts of things, the willows are, as expected doing great, red oaks have now established chestnuts both sweet and horse are struggling, likewise most of the fruit trees, we do get a lot of winds here and we have an exposed site, but I’m sure given time we will have our mini forest. Wonderful post! When my friend was pregnant with her firstborn, someone gave her a sapling as a shower present. I thought that was brilliant. Her son is about sixteen or seventeen now. I don’t get to her house much now (I left the country), but I’ll have to ask her about that tree the next time I talk to her. So true! I have less space than you but am really interested in coppicing – the history of it in particular. We are lucky enough to have a neighbour with a bamboo hedge so can use that for all sorts of garden uses – and you can eat the shoots too! Maybe one day . . . ? Happy New Year. Hope 2015 will be healthy and happy.